Many parents contact us when their little one is over 12 months of age, they have been hoping that the problem would go away or that they would sleep better as they got older. Usually it doesn’t go away and if they havn’t been taught better sleep habits from their parents they don’t magically work it out themselves. Often we as parents are giving confusing messages especially when we go in and out and use methods such as controlled crying. When you have a toddler who is over 12 months of age and you have tried a few different techniques they can have been taught to cry for longer periods, especially with continually going in and out, the rules are hard to learn and they are becoming upset and confused. If this is the case with your baby then I recommend my ‘give them space’ approach. Start by telling your toddler that day or ideally a few days leading up to the change in routine what is going to happen. I’m a big believer in the fact that your baby understands far, far more than they can communicate to you. Explain in a firm but nice voice that you will be putting him to bed awake and no matter how much standing and shouting he does, you will not be getting him out of bed until either he has had a sleep (ie. day sleep) or it is time to wake up and start the day (night sleep). What happens in this approach is that by giving your toddler space, they are having a temper tantrum about not wanting to go to bed rather than crying emotionally as happens with controlled crying. position. Try to be gentle though it can be difficult if he is fighting you and making it difficult. This is an important step as you are telling him what you want him to do! Just stand beside the cot and each time he stands up, you will simply lay him down again. He may be yelling at you or shouting or protesting, that is fine. Just stay calm. After you have laid him down 10 times, then walk out of the room. *when you lay him down and he is taking longer to stand up, then firmly place you hands on his back with a little pressure without being to rough. Once you walk out of the room the protest will really start. Your baby is simply shouting at you to come back in. They are having a temper tantrum!! After about 20 minutes – it can be longer if your baby has learnt to cry until you eventually come in – your baby will stop calling for you. Stage 2 You will hear the following: Eventually your baby will calm down for a second or two. You hope that this is the end however he will realize that he is falling asleep and at this point his shouting will change in tone to sound more desperate. Usually it sounds very urgent and desperate – your baby is feeling themself starting to fall asleep and is becoming cranky with themselves!!! So they start to shout. Most parents find this the most distressing however it is a turning point. This stage of shouting usually lasts about the same as the first stage did. Stage 3, this is when your baby starts to fall asleep. You will hear breaks in your baby’s protest, the crying-protest is on and off. The gaps of quietness will start to get longer and the protest part is shorter. Finally your baby will be sound asleep. When your baby is asleep, then go in after at least ten minutes and check if you like. The first time you do this technique of giving your baby some space to work it out, it is always the longest and hardest. Generally I find that the next time they wake, the time halves, and then the third time it halves again. Your baby is learning how to self settle and put themselves to sleep and they rapid improve their ability to do so. It is amazing to watch. By day: if your baby wakes after just 40 mins, one sleep cycle, wait 5 minutes before you race in and once it is clear your baby isn’t going back to sleep, then simply go in and get them up. Don’t worry that it is only 40 minutes, as your baby gets better and better at putting themselves to sleep, then they will start to apply this new skill to the end of the first sleep cycle in a week or so and then perhaps even a third sleep cycle. Don’t stress about the lack of sleep, be positive that they have self settled to go to sleep. They will not roll from sleep cycle to sleep cycle until they can first put themselves to sleep at the start! By night: You are needing your baby to resettle. To do this, you are best not to go in to your baby because this will stimulate your baby more and keep her awake longer. Wait at least 20 mins from when your baby wakes, before re-entering the room. If at any point you feel you can continue, then go into your baby and lay him down about 15-40 times. Until you feel this is starting to work. Working is if your baby is taking longer and longer to stand up and protest at you. When you notice this, then I want you to use your hand as a reward, when they are staying down put your hand on your baby’s bac or tummy when you lay her down. If they are resisting, then simply take it away. And wait until they stand and then continue with the laydown technique. If your baby is staying down, then use your hand as a reward. Only leave it there for a minute at the most then move it away. Don’t give up if your baby stands up. Just continue to laydown and use your hand as a reward. Stay with your baby until he is asleep. 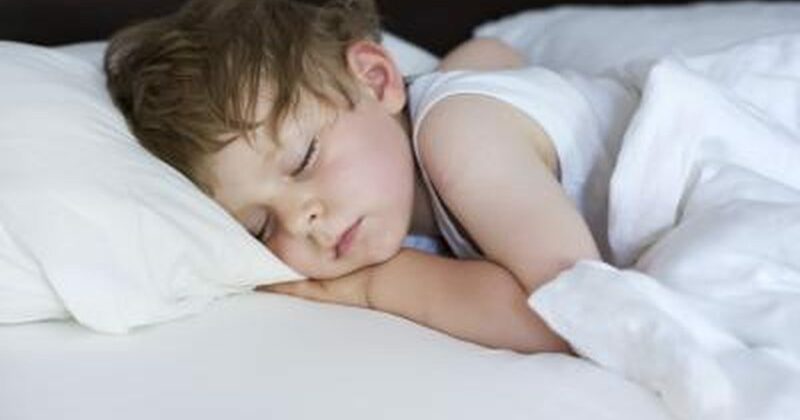 This may seem like a ‘sleep association’ but don’t worry about this after a few nights your baby will start to resettle without you even there. Remember the longer you can stay out and give your baby space the faster he will learn this skill. On the second night only lay down your baby about 8 times before leaving the room when first putting him to bed. On night 3, lay down about 6 times. On the following nights 4,5,6 etc do NO lay down at all, as by now your baby knows what you expect and this in itself can become a game. Once a year I come across a baby who will protest and protest for more than two hours. I absolutely believe that there is no emotional damage to your baby, they have simply learnt to protest for a long time as eventually you will come in and that they have had many mixed messages, however it’s certainly not the same for parents. Parents cannot listen to a protest tantrum for more than two hours, even two hours is a long time. Sometimes the protest just needs to end. Going in and getting your baby up would be the worst outcome, so you are far better to assist them to go to sleep in their cot. So go in, without eye contact or talking, and do the lay down technique, once he is taking longer to stand up use the ‘hand for reward’ strategy as before. Stay with your baby until he goes to sleep.